If ever there was a writer I will be forever indebted to, it’s Jamie Calloway-Hanauer. When I felt the need to write, a mutual friend connected us. Hoping for some simple direction, Jamie suggested I apply to Redbud Writer’s Guild and the story continues to unfold. But she has influenced me beyond our love of words. Her passion for justice and mercy, her writing that bravely reveals chasms in our society and her single suggestion of picking up a Common Prayer book have left a forever imprint I’m grateful for. Check out more of her work at her site http://jamiecallowayhanauer.com/! The bright and shiny of all the things we wanted – the kids, the dog, the house, the minivan – are dulled by fatigue. By being up for three hours by 8am and and still having read only one email, one verse. By sharing 2.5 cups of coffee with a spoon-wielding princess. By being an introvert who is accompanied by two littles in the bathroom, while a big-little knocks on the door. We have comforts. We bought a new mattress to make us less tired. It’s fancy, and big, and came with a remote that we share. It lights the room blue at 2am when we wake, hearts pounding, thinking surely we’re supposed to be doing something, anything, other than resting tired bones. Even with a downstairs Nana, a few-blocks-away Gamma, our exhaustion defeats us. Yesterday I met a woman with one little, another on the way. She has comforts, too. I can tell this by where her house is, where she works, what she wears. I can tell, too, that her comforts don’t make her bright things shiny. She has no Nana downstairs, no Gamma three blocks away. Just a new home, a new town, a long-distance family, and a few short months to go before she’s a mother of two. I want to sit with her, write a list of her needs. Share them with my too-tired mama friends and envelope her with love. But I know that if I were her, and I have been, I would say no. Would go it alone, overwhemed and longing. Determined to make do. She tells me about her thirties, how every bone ached with exhaustion. How she hallucinated after three days without sleep when my sister was in the hospital. “I remember,” she says, “when we would go to the farm to visit grandpa and I was so tired. I thought I’d never feel rested again.” Even decades after the fact, I can hear the fatigue in her voice. She had comforts, too, but still her bright things dulled in those middle years, when all we have are edges, stretched thin and yawning into nothing. Dangling our feet over empty, hanging heavy and threatening to burst. He wraps up water in his clouds. They are heavy, but they don’t burst. He covers the face of the full moon. Those are only on the edges of what he does. They are only the soft whispers that we hear from him. I will dance on the edges, lean in for the whispers, find comfort in the thunder and joy in the Father. Pray other mamas whose feet dangle, alone, do the same. Jamie Calloway-Hanauer is a writer, editor, and semi-retired attorney currently working on her Master of Divinity at Fuller Theological Seminary. 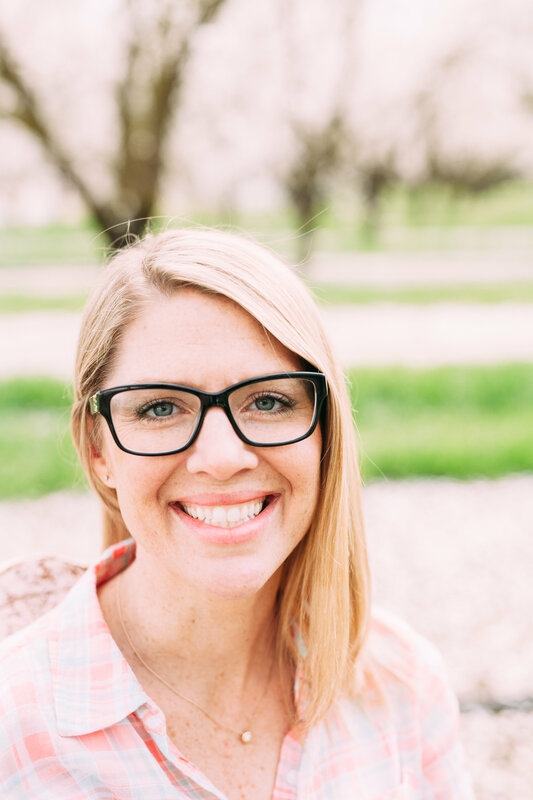 She is a happily married mother of four, and in between parenting, housework, and studying, she is working on her first full-length book, The Telling Ground. She blogs often at http://jamiecallowayhanauer.com, and you can also find her on Facebook and Twitter.